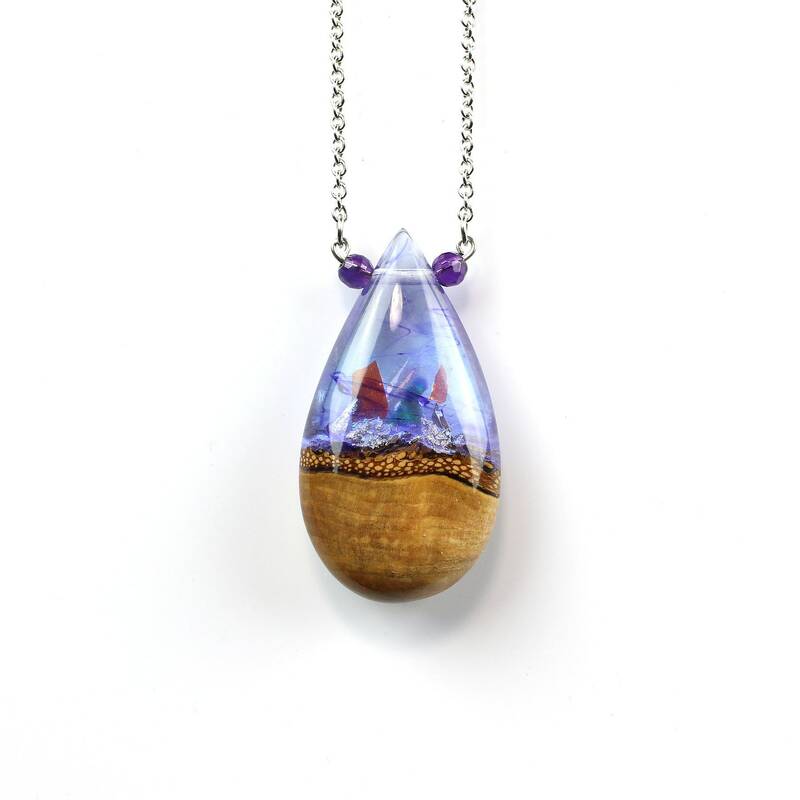 Purple crystal teardrop pendant, resin and wood necklace. 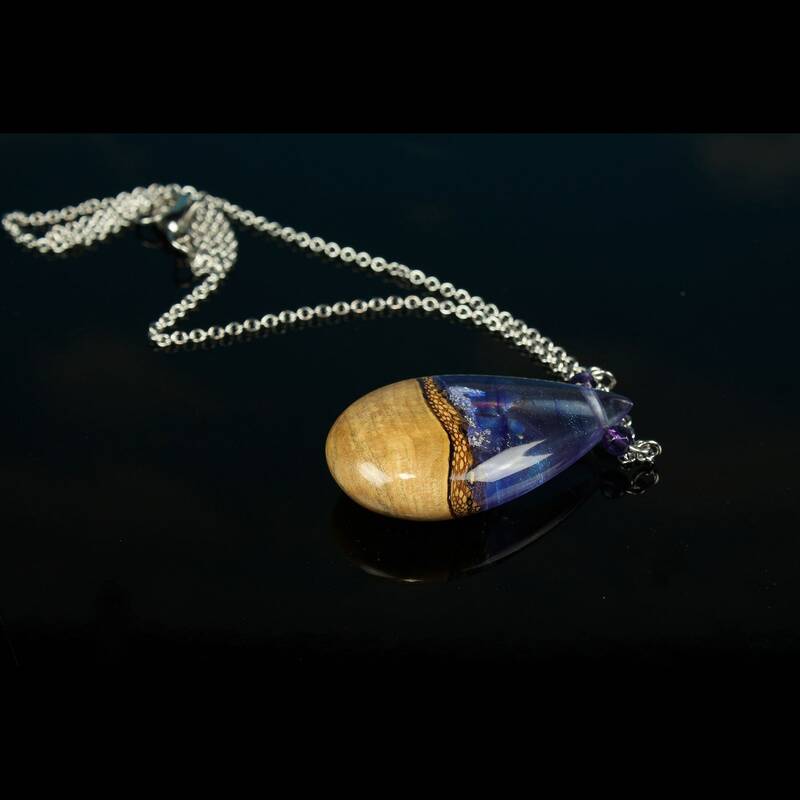 Handmade hybrid jewelry. 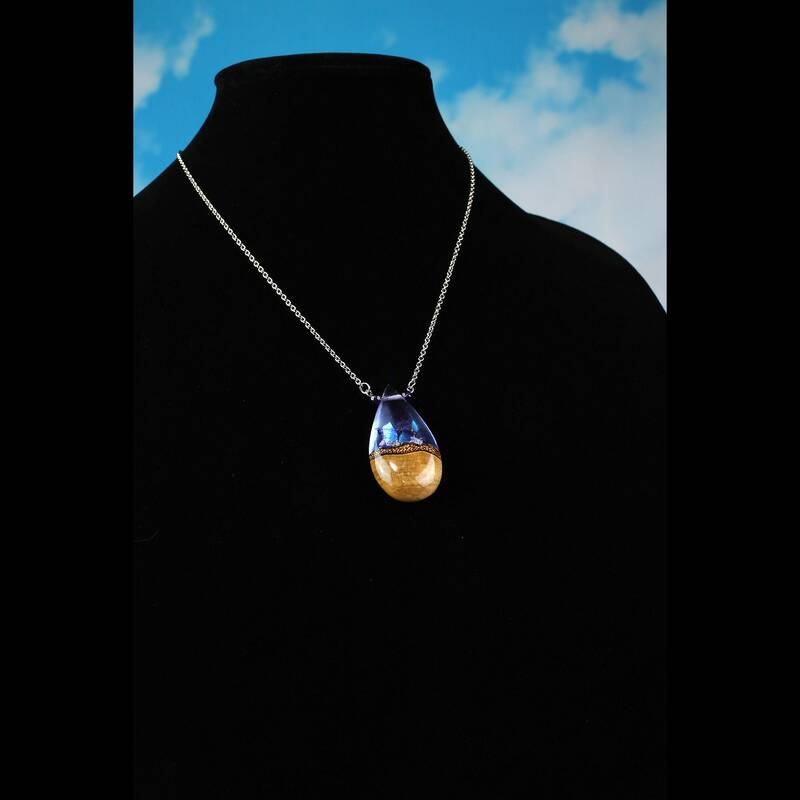 Shimmering from the inside, this small little beauty is sure to catch people's eye. 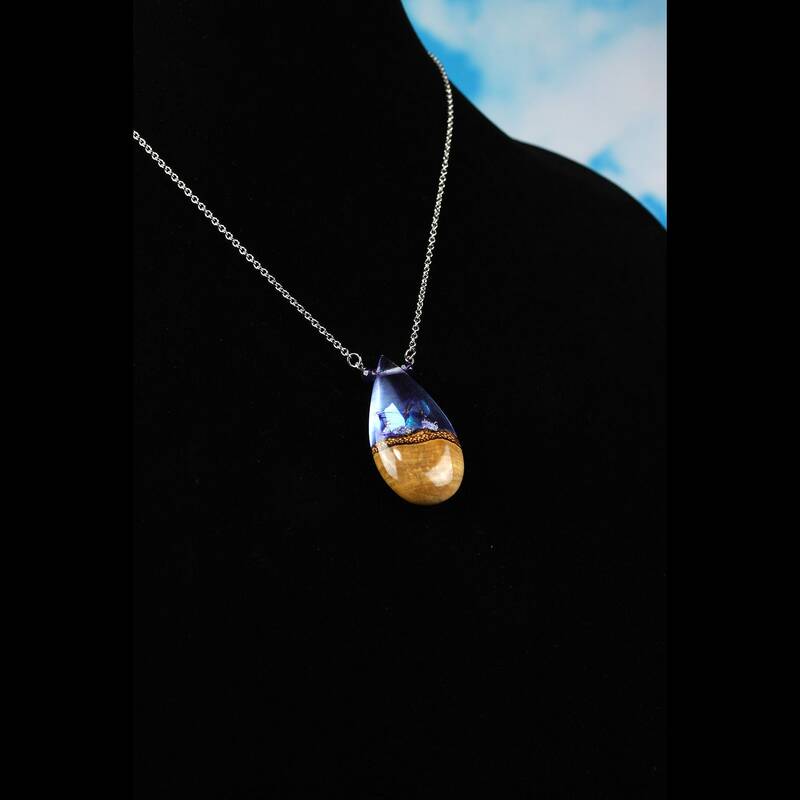 The hand-carved curving surface helps to bring in light and illuminate the pendant from the inside. 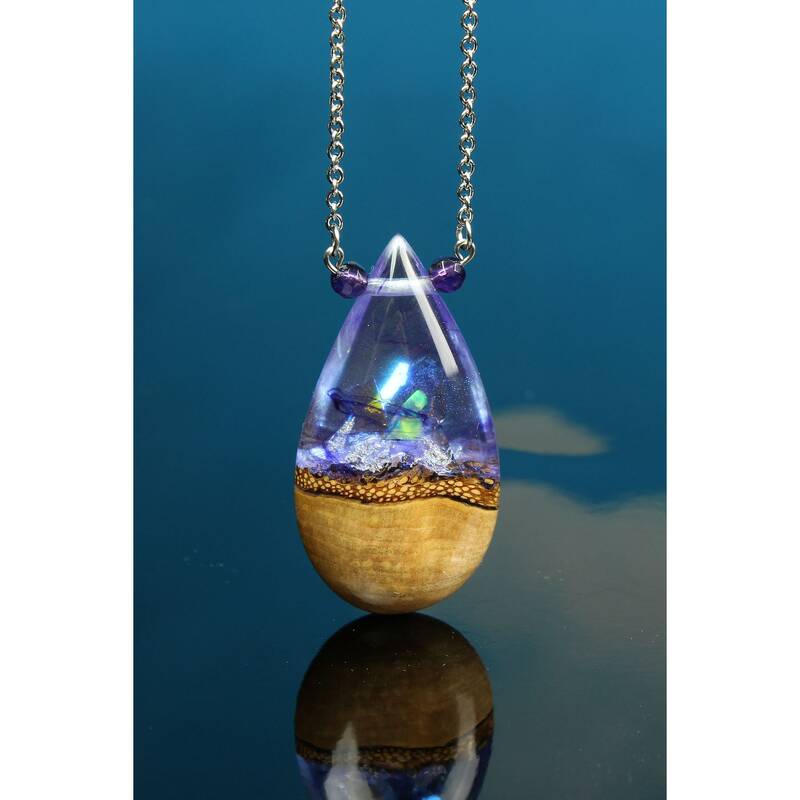 Made with hibiscus wood and green iridescent resin this pendant was handmade here at Cut Branch on the Eastern shores of Bronx, NY. 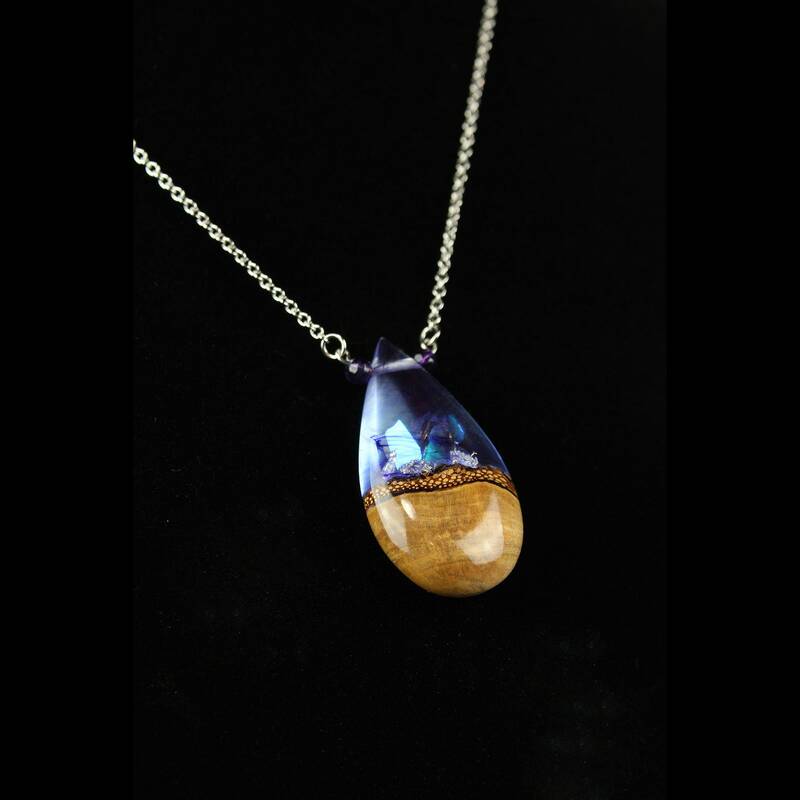 • All of our wood and resin necklaces are ready to ship. 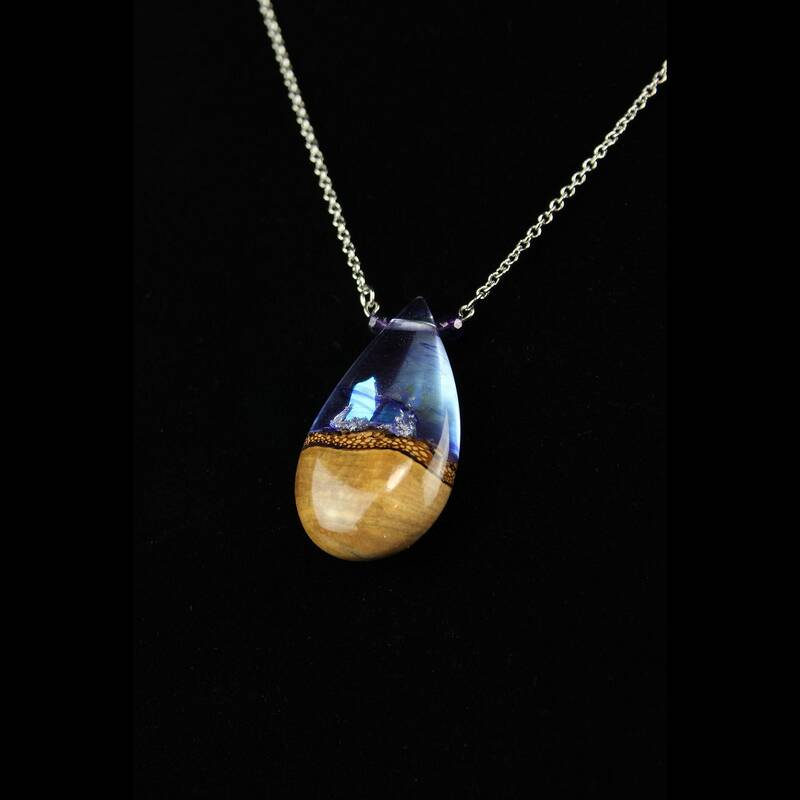 ♦ We use a variety of reclaimed wood and organic materials in our resin and wood necklaces. The vast majority of materials are locally sourced, collected and prepared by us.